What is the L/A Math Circle? A monthly meeting in which a college professor leads the group in exploring and discussing one of their favorite topics in mathematics through a hands on approach. Who can attend? This program is aimed at middle school and high school students, their parents, and their teachers. Why should we participate? To learn more about the beauty and power of mathematics! The next Math Circle is on Saturday, February 7th, 2016, led by Bates math professor Dr. Adriana Salerno. Ever wonder if there are two trees in the world with the exact same number of leaves? Or how many people need to be at a party so that you can be sure exactly three of them are friends? Ever wonder who is the actor who’s been in the most movies with other actors? 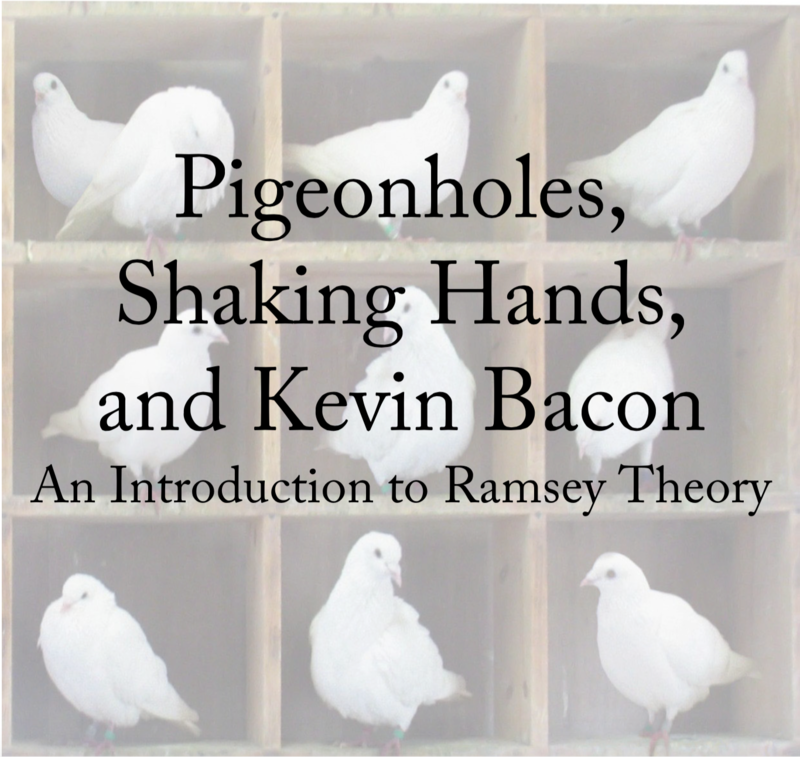 We will explore these and other questions in the meeting on “Pigeonholes, Shaking Hands, and Kevin Bacon”. Time: 10 a.m. to Noon (mid-morning snacks will be provided!) We hope to see you there! The Four Numbers Game is a game involving four nonnegative integers and basic arithmetic. Yet within this simple game there are beautiful mathematical patterns. In this math circle we will learn how to play the Four Numbers Game, which was invented by the mathematician Ducci in the 1930s. 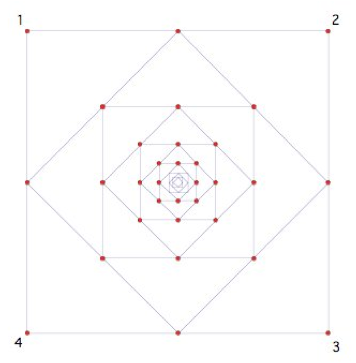 Along the way, we’ll discover connections to Pascal’s triangle and create sequences of numbers with interesting properties. We will also try out several variations of the Four Numbers Game, and get a glimpse at how a simple mathematical game can lead to many interesting questions (and some answers). 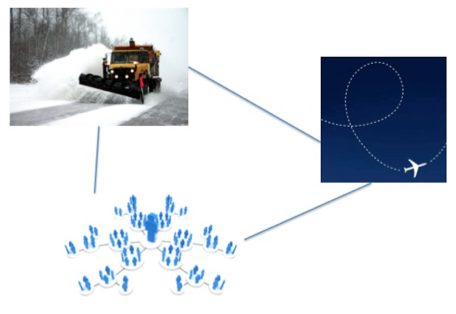 Have you ever wondered under what circumstances can a snow plow operator go through all the streets in a neighborhood without repeating any street? We will try to answer such questions using graphs made up of dots and lines that model the situations we want to explore. The L/A Math Circle is sponsored by the Bates College Mathematics Department and the Harward Center for Community Partnerships.